Service and Maintenance - Britannia Fire Technology Ltd.
Britannia Fire Technology Ltd have a desire to build on relationships with existing and new clients by offering scheduled aftercare service and maintenance. 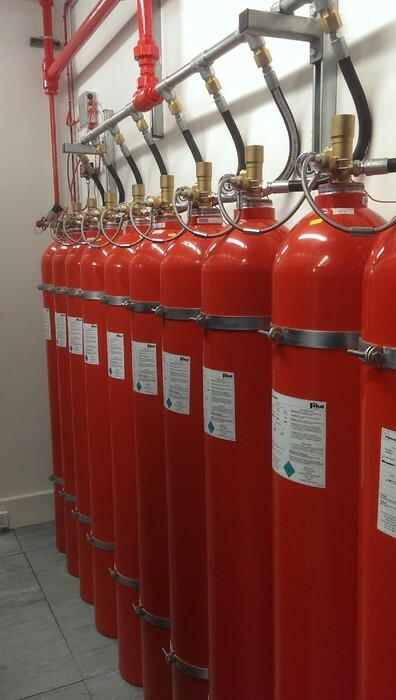 Our team of service engineers will maintain house fire alarm, fire suppression and air aspirating system to the highest quality to keep them in perfect working order, and to keep your premises safe and secure from fire. All maintenance is carried out in accordance with strict procedures and the latest British Standards. Following a scheduled site visit our clients receive a full and comprehensive written report detailing all work. We also offer out of hours contact service in the event of an emergency situation. This ultimately means our service department is available to you 24 hours, 365 days per year and will try to assist and rectify the problem and if necessary arrange for a site visit. Britannia Fire Technology Ltd’s desire to build long term relationships with clients has led to a large client base, many of whom have been receiving comprehensive maintenance programs for years. Maintenance and service are vital elements in ensuring any fire or security system remains effective and trouble free in operation, in order that the integrity of the system is preserved at all times. BFT will design and implement a service and maintenance package in accordance with your requirements and needs. It is this customer focus, expertise and attention to detail on which we pride ourselves on. Preventative maintenance simply means a peace of mind for our clients.